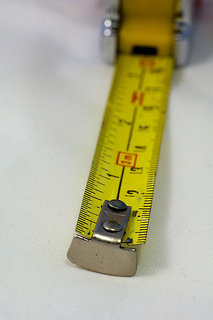 Do We Have to Track and Measure Everything in Inbound Marketing? This post is less about instruction and more about conversation. One of the keys to the new world of marketing – inbound marketing, content marketing, digital marketing – is the fact that we can track almost anything. Marketers can see how you found their website. From organic search to referral traffic to social media, we’re able to see so much more about our potential customers than ever before. With that level of tracking. we’ve come to focus on the metrics of click-throughs and conversions, obsessing over the mantra “If it don’t make dollars, it don’t make sense.” Or some other like motto with better grammar. But you get the gist. So if we can track what email subject lines bring in the most paying clients, we can track how much a Facebook like is worth and we can see which web pages on our sites generate the most revenue, does this mean that something that isn’t trackable is worthless? What if something we’re tracking doesn’t generate an immediate dollar to our bottom line? Does this mean that we shouldn’t spend time doing those things which we cannot track? I’m guilty of this. I tried a Pinterest marketing experiment for my employer. We were cranking out views and leads from our posts shared on Pinterest, so we began to invest time and effort into creating Pinterest-ready posts. This means we were looking for pretty, pin-able pictures to center blog articles on, in hopes that they’d gain a bunch of re-pins. And it worked, for awhile. But let’s be honest here: after awhile all those views began to offer no more leads. It wasn’t affecting our bottom line. At this point we had several hundred followers, and we stopped focusing on creating content solely for Pinterest (you can see the AmeriFirst Pinterest boards here). However, we didn’t completely abandon the site. We still pin and share cool content there, and we’ve grown our audience about 500%. It still doesn’t generate direct dollars, but it does give us a wider audience. So this is where I wonder what the value of a larger audience is. It’s not always a trackable metric like email click throughs and closed leads from LinkedIn. However, these audiences – or as Seth Godin calls them – Tribes – become a powerful tool in our book of business. We may not be able to always track the exact value of a Facebook like, but what happens when we have 500 Facebook fans, 700 personal Facebook friends and a large peripheral network? This tribe often discusses life offline, and we may begin to see our business grow by word of mouth referrals. These un-trackable metrics are not something I’d build a business on, but they’re still a valuable part of doing business. Trade shows, client lunches, a Pinterest audience, vacation time for employees – these are all part of the “cost of doing business” that may not directly tie to a profit margin. But I’d like to know how business owners and marketers feel about these things we cannot measure, and how we should attack them. Dividing your time and efforts between blogging & calls to action and meeting with another local marketer to discuss amazing ideas can be difficult. But it’s all necessary when it comes to business and inbound marketing. Your turn: Tell me what you think about tracking everything in business and making decisions based only on the measurable metrics? How much value is there in a Facebook presence if no traffic from there converts directly into leads? This entry was posted in inbound marketing and tagged inbound marketing, marketing metrics, measurable marketing on February 18, 2013 by danmoyle.